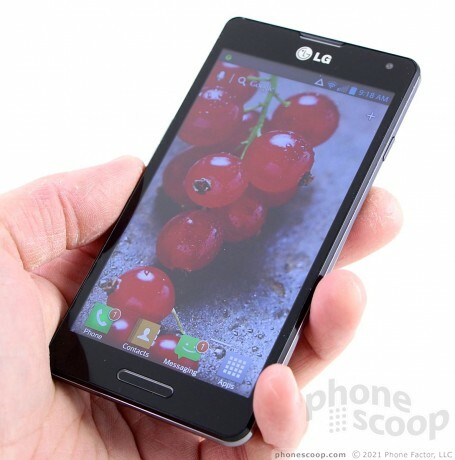 LG churns out a mid-range Android smartphone in the Optimus F7, a $99 wonder for U.S. Cellular. Find out what the F7's strengths and weaknesses are in this full report. 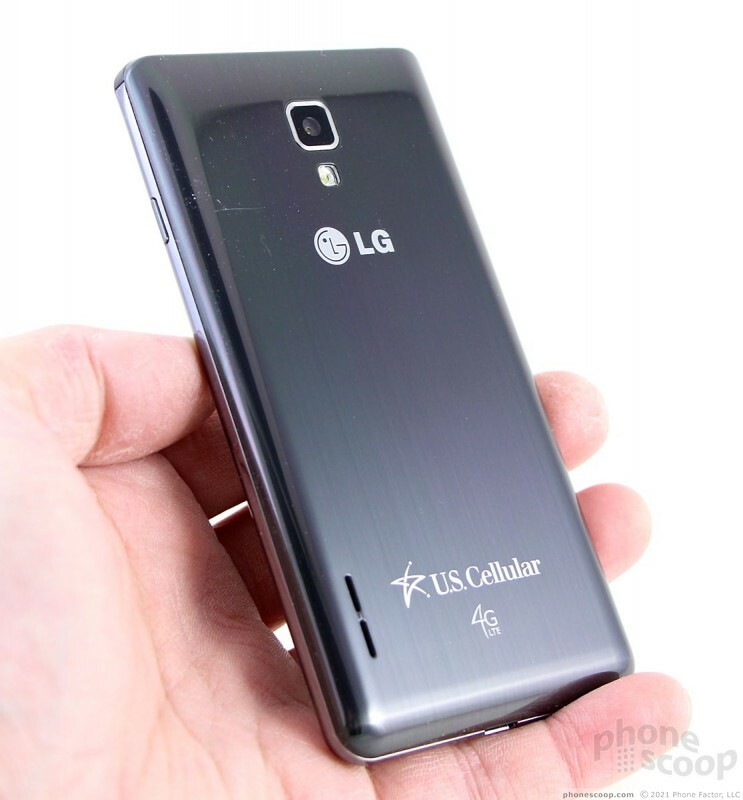 The LG Optimus F7 provides a lot of bang for the buck. If you're not interested in paying top dollar for a device, but want most of the top-tier features, the F7's large screen, speedy performance, and solid camera offer plenty of selling points. 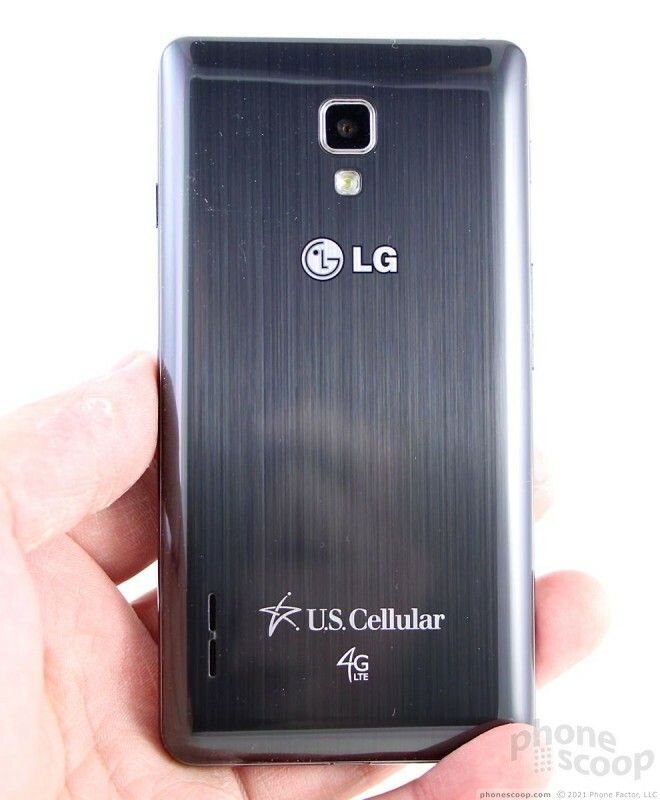 The LG Optimus F7 is a rather plain black slab that blends in well with the smartphone masses. It has a conservative look and doesn't offer any flashy design flourishes. The F7 is fairly big in order to accommodate the screen, and it has a highly glossy finish that always seemed to be reflecting light. It's too bad it does such a good job of collecting oily fingerprints. The F7 doesn't have any hard angles; all the sides and edges have rounded profiles and are smooth to the point of being slippery. There is a dark, chrome-colored band that forms a "U" around the side and bottom edges. The back surface has been given a grain that resembles brushed metal, but make no mistake, the F7 is plastic through and through. The grain is subtle, and can only be seen when the F7 is tipped in the light just so. The F7 is a bit weighty, but is overall comfortable to hold and use. I like the rounded shape of the side edges. The build quality is quite good, and the pieces all fit together firmly. Nothing about the F7 feels cheap. With the slippery surfaces, the F7 will easily slip into pockets. The size of the phone and its weight don't make it too obtrusive when it's in your pocket, but you'll know it's there. The display takes up the bulk of the F7's front surface; there's some bezel, but it isn't too thick. The chrome LG logo is above the screen and is always visible. 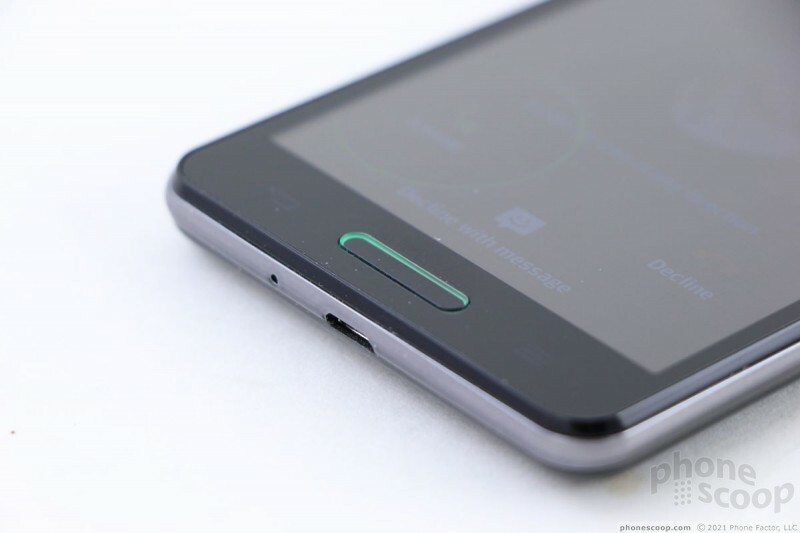 The F7 has a physical home button and capacitive back and menu buttons. The home button also serves as the notification light and it pulses in a green ellipse when there are messages or missed calls. 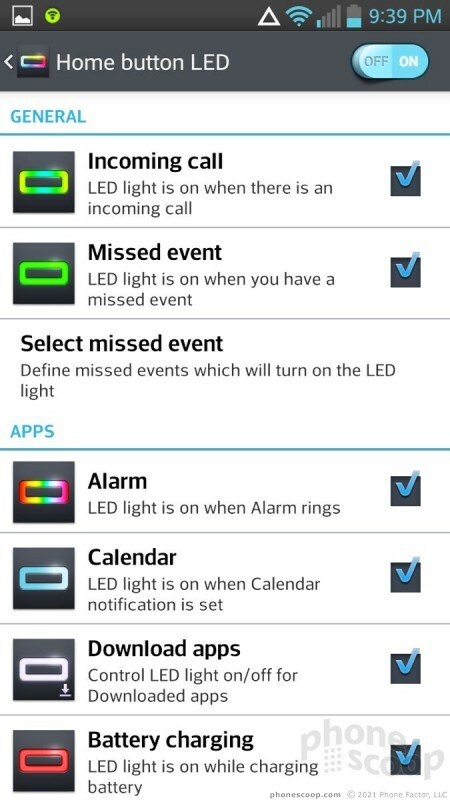 It will also flash a rainbow of colors if you set the alarm, and it flashes red with there is an incoming call, blue when there's a calendar alert, and white when you've downloaded an app. The button itself is easy to find and has good travel and feedback. The back button is on the left and the menu button is on the right. They only light up when the home button has been pressed, and remain illuminated for only a few seconds before they disappear. 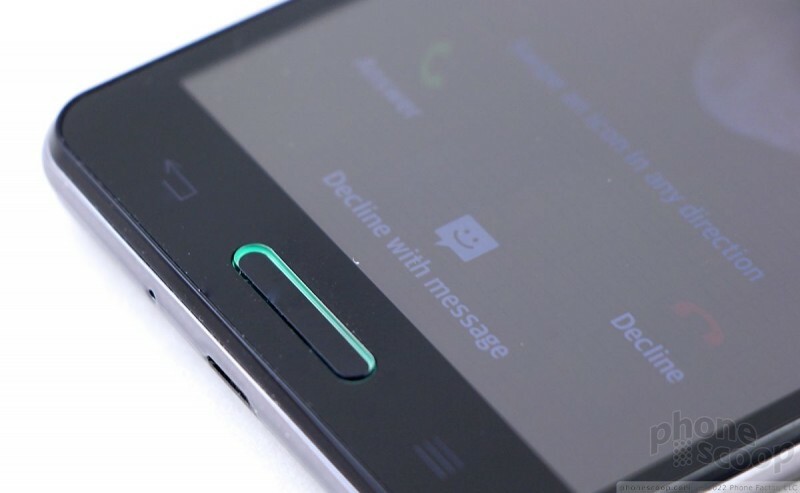 There are two buttons on the left edge of the F7: the volume toggle and a dedicated QuickMemo button. 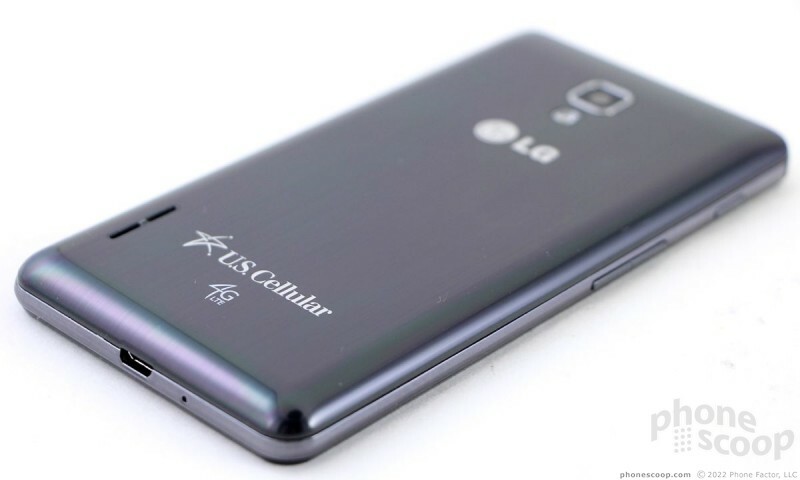 The QuickMemo button is small and placed closer to the top edge of the phone. It has a small profile, but isn't too hard to find. Travel and feedback were good. The volume toggle has a bit more of a profile to it, though the whole button can't be more than an inch long. The travel and feedback was excellent, but it's impossible to tell the up from the down. I often found myself turning the volume up when I meant to turn it down. The screen lock button is on the right side and mirrors the shape and feel of the QuickMemo button. 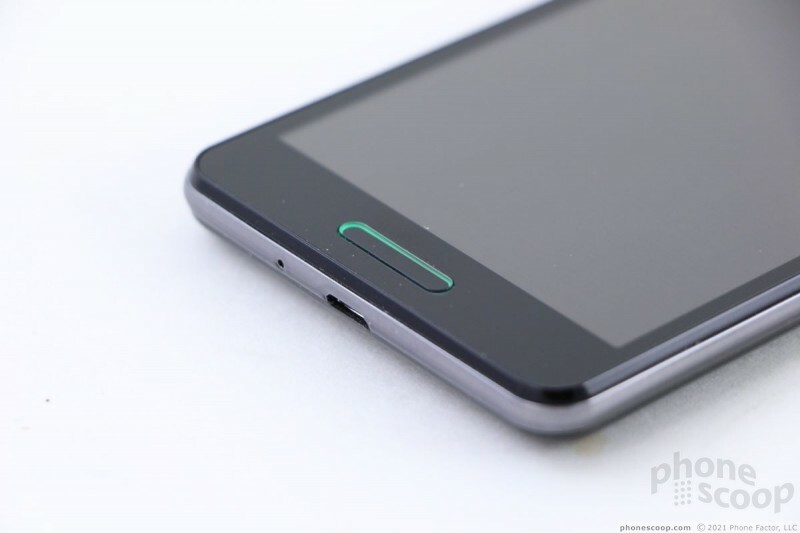 The stereo headphone jack is on top and the micro-USB port is on the bottom. 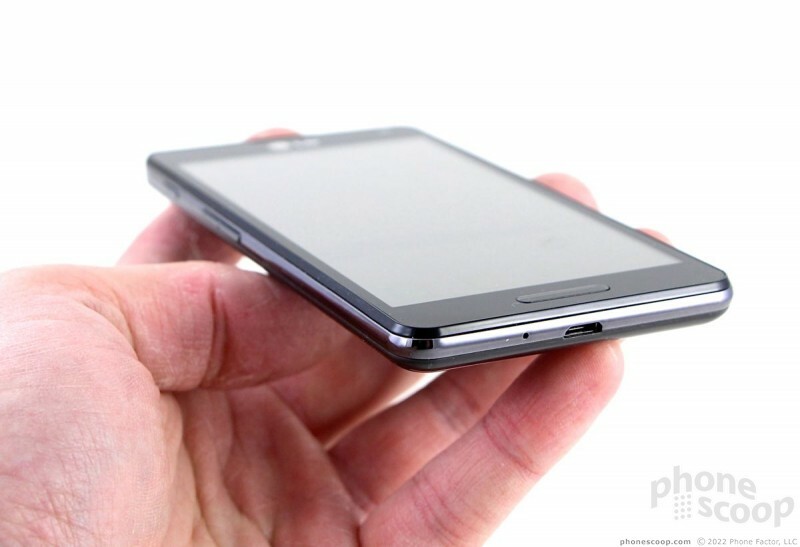 The battery cover forms the entire back surface of the F7. It peels off easily. The battery is removable, which means you can swap power supplies if need be. The F7 has a novel SIM card and microSD card setup. 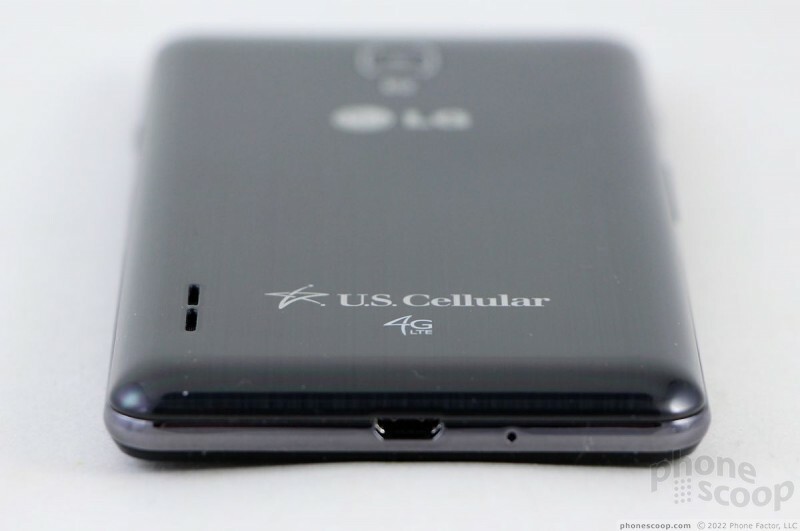 The slot for the memory card is stacked directly atop the slot for the SIM card (see picture). You have to remove the battery to access the SIM card, but microSD cards can be swapped without pulling the battery. In all, the F7's hardware functions very well and feels like it should cost more than its $99 contract price. 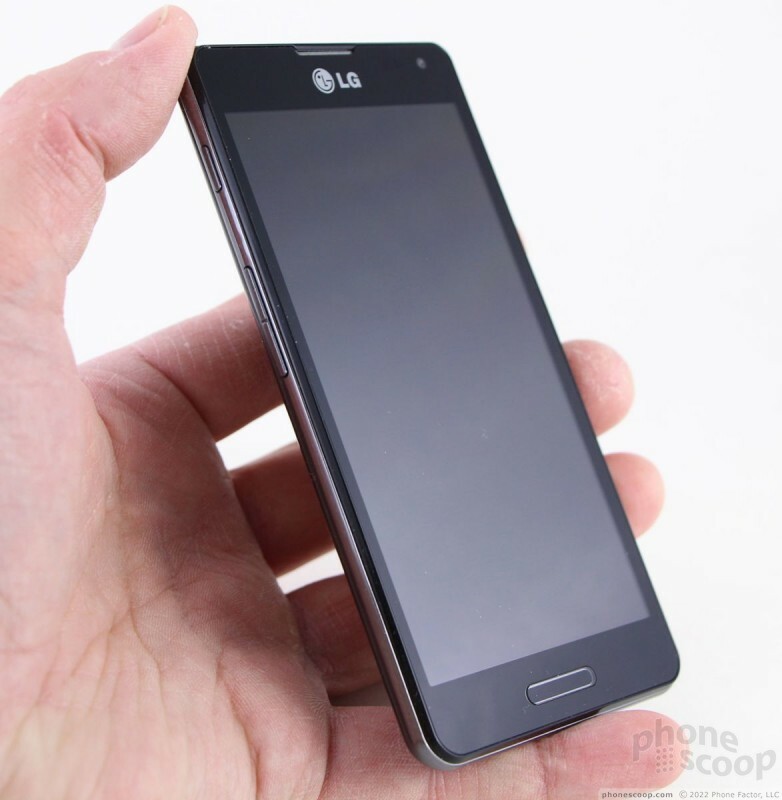 Boost Mobile today announced the pending availability of the LG Optimus F7. 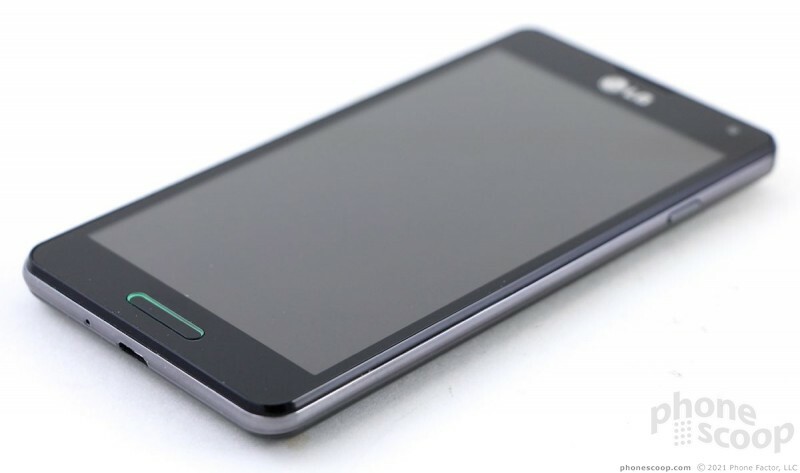 The F7 includes a 4.7-inch IPS display with 1280 x 720 pixels; 1.5GHz dual-core processor with 2GB of RAM and 8GB of built-in storage; an 8-megapixel main camera and 1.3-megapixel user-facing camera; and a 2,540mAh battery. 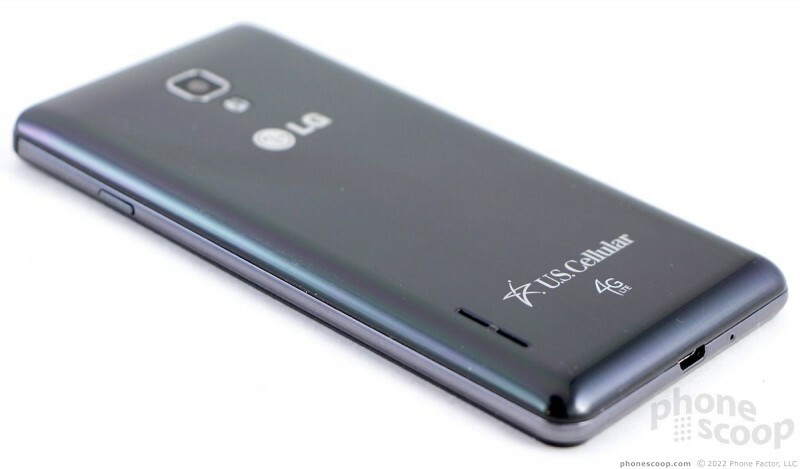 U.S. Cellular has added the LG Optimus F7 to its lineup of Android smartphones. Verizon Wireless' prepaid unit today added the Orbic Wonder to its lineup of inexpensive phones. 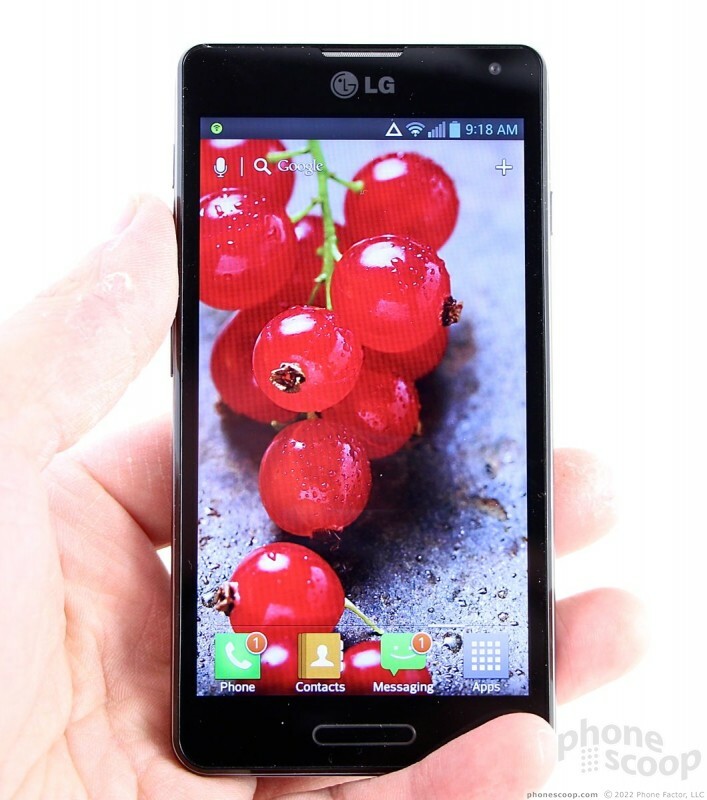 The Wonder features a 5.5-inch full HD screen that is protected by Asahi Glass.